The City Beautiful movement produced impressive civic architecture and likely influenced the many beautiful historic firehouses around Brooklyn, including the one at 88 India Street in Greenpoint. The former firehouse was built to house what was then Engine Company 115, later 215 of the FDNY. Engine Company 115 went into service as company 15 of the Brooklyn Fire Department in 1872 and was reorganized into their new building on July 1, 1910. Brooklyn engine company numbers were first changed when Brooklyn was annexed by New York City in 1898 and the fire companies were integrated with the FDNY in 1899. The second reorganization and renumbering of fire companies came in 1913. Engine company 215 was in service until November 25th 1972. 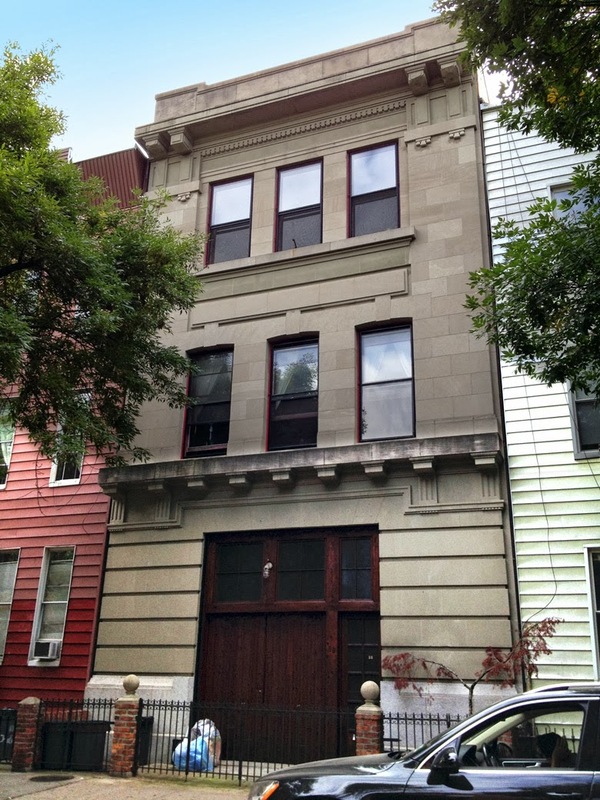 At one time the firehouse had been scheduled for demolition, however, it was spared by the city and auctioned off in 1975 for a mere $19,600. Prior to being sold at auction, the building was used by the New York City Department of Parks and Recreation for storage. When I first noticed this building I thought it looked a lot like a firehouse but it seemed a little small to house a fire engine. As it turns out, it was a firehouse built for horse drawn fire apparatus which included an 1861 Amoskeag second-size steam engine and an 1871 Amoskeag four-wheel hose tender. The ground floor housed the engine wagon, hose wagon, stable and feed room. 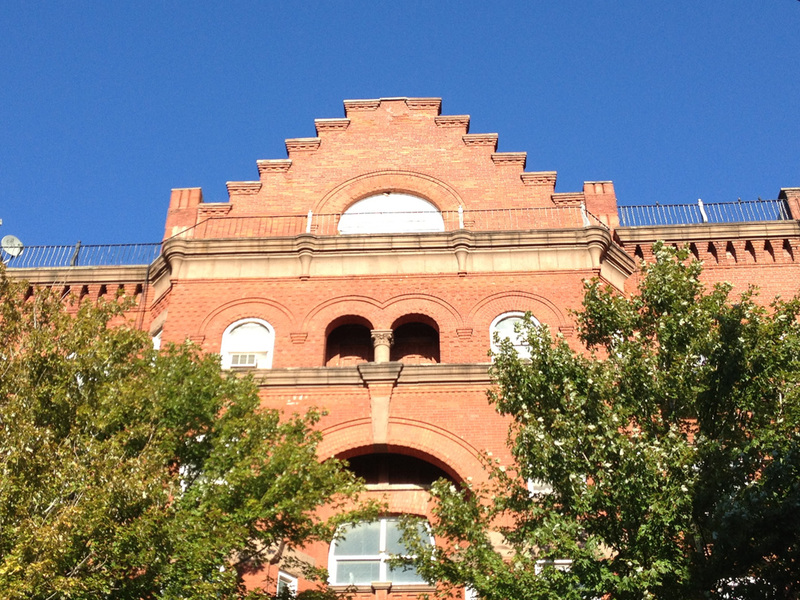 The dormitory, officers room, bathroom and kitchen were located on the second floor. 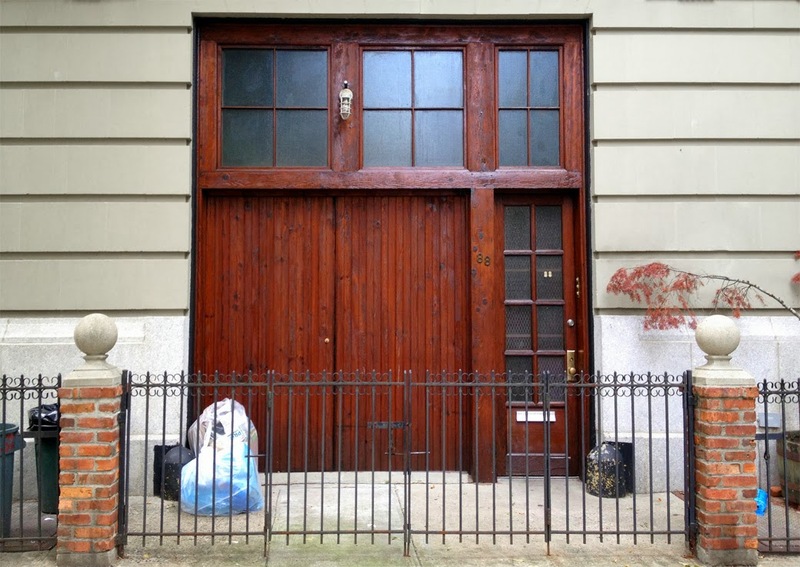 Now, the building houses two apartment rental units including a 1600 square foot loft with a large closet that was once used for a fire pole. 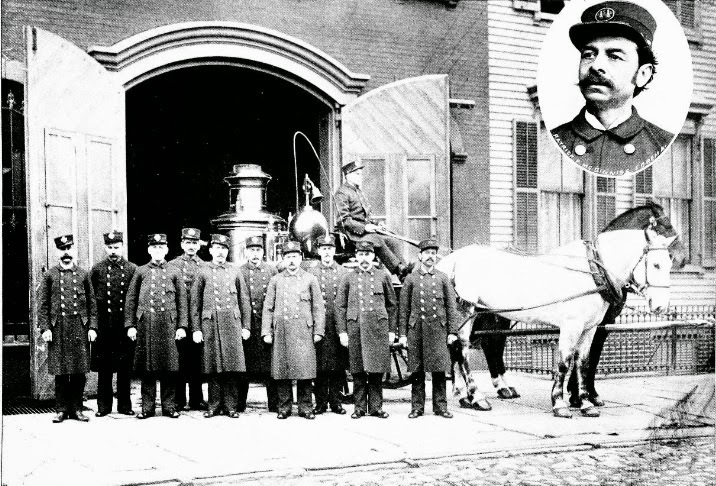 Although this video titled "Last Fire Horses Retired" is not from the firehouse at 88 India Street it is a good illustration of a horse drawn fire engine being hauled from a similar size fire station. The last time a horse drawn engine was sent out on call in Brooklyn was in 1922. 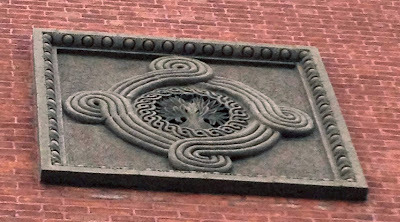 "The Old Quarters-Brooklyn Engine Company 15" By honorary Battalion Chief Frederick B. Melahn Jr.
WNYC, the idea for what was then a city owned and operated radio station began in 1922 and eventually went on the air on July 8th, 1924. 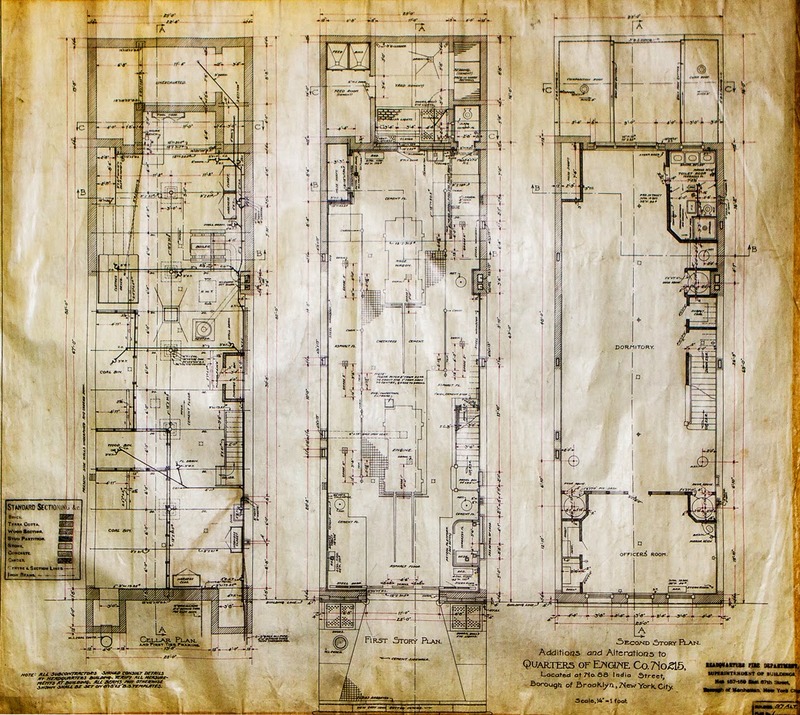 As high rises were erected and New York's skyline began to take shape dead spots developed due to the obstructions that the new buildings created and by 1934 the city considered shutting down the station, in part, due to the dead spot issue. However, a citizens committee appointed by Mayor La Guardia proposed some reforms including the relocation of the transmitter to Greenpoint. 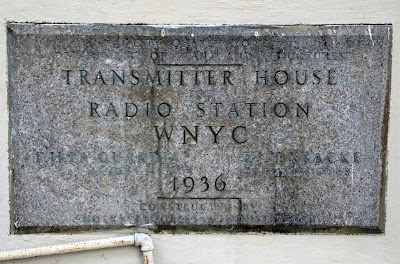 In 1937 the WNYC transmitter was moved from the municipal building in Downtown Manhattan to the Greenpoint facility which was built by the WPA. 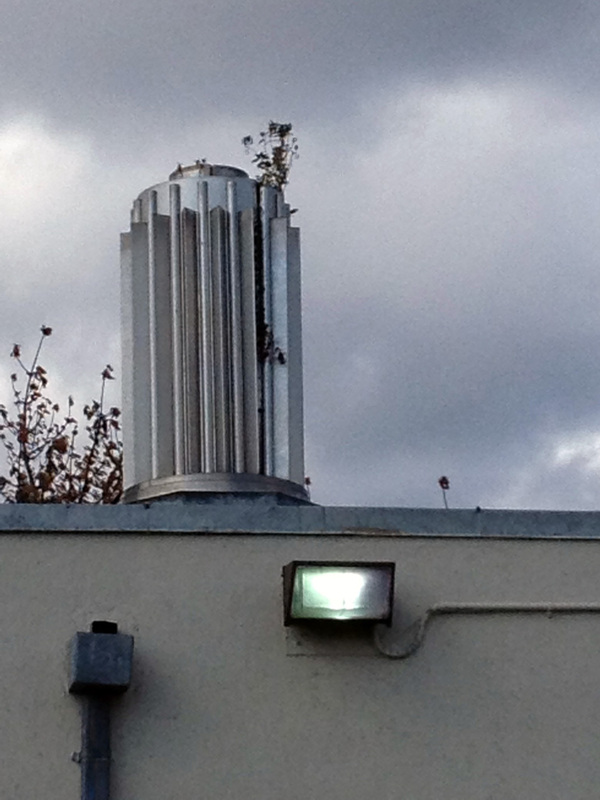 The former WNYC broadcasting building was designed in the Art Deco style and once had two 304 foot antenna towers. The transmitter in Greenpoint remained in use until 1990 when WNYC broadcasting was relocated to the Meadowlands in New Jersey. 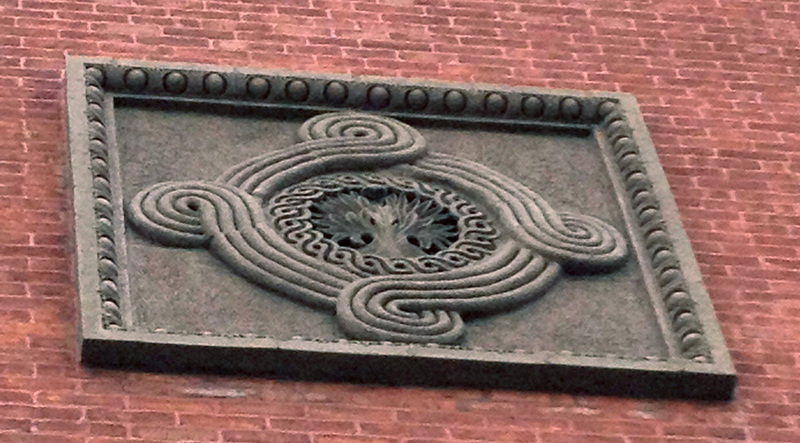 WNYC (AM 820, FM 93.9) provides a radio news source about civic and cultural events around the city in addition to child-oriented programming and music programming. Today, WNYC Radio is the most listened to public radio station in the U.S. The station, which was once owned by New York City is now an independent station supported by listener donations, as well as contributions from corporations and foundations. WNYC is a member station of NPR, as well as PRI and is New York's source for NPR broadcasts. When I used to commute to my companies' Long Island office, I tuned into WNYC's AM station since the longer wave length of AM allowed me to pick up the signal far outside the city; however, while WNYC seems to be going strong, AM radio like print journalism and broadcast television is under pressure from technological displacement in our digital age. In addition to shrinking market share, AM broadcasting which was surpassed by FM and more recently Satellite Radio and web based broadcasting is now being threatened by interference from smart phones and other consumer electronics. There is currently a debate on weather or not to convert the AM frequency for use by other devices. Ajit Pai of the FCC is advocating for the salvage and overhaul of AM broadcasting and given my affinity for relics of a bygone era I appreciate his quest. Whenever a project site has historic structures or artifacts many designers will attempt to include them into their park design. 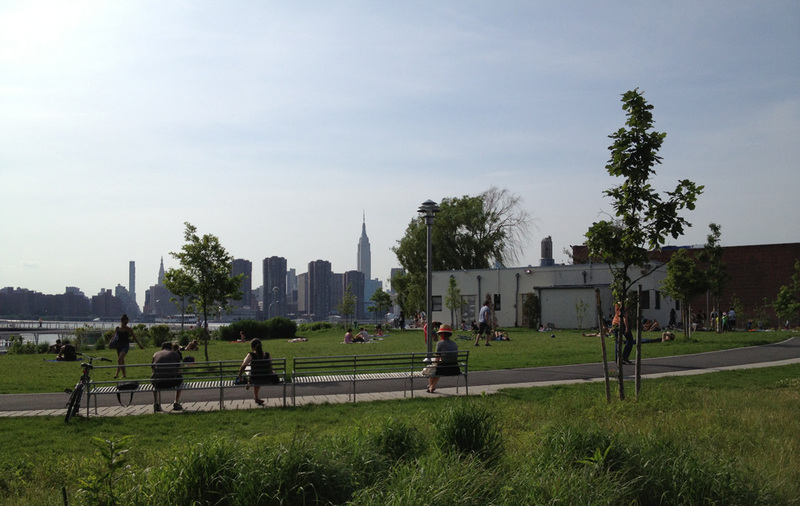 Such is the case with Transmitter Park. 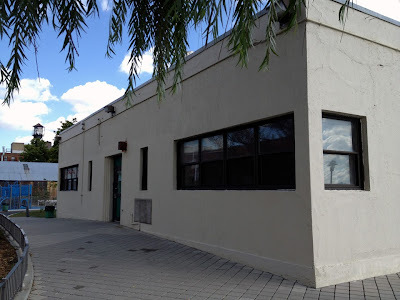 According to the EDC website the transmitter house has been converted into a cafe; although, I have yet to see any action regarding the building. In addition to the historic building there are also remnants of a ferry terminal that opened in 1840 and was active during the second half of the 19th century until the bridges and tunnels we use today were constructed, rendering the ferry obsolete. The original ferry was operated by Alpheus D. Rollins who took the first passengers to East 10th Street in Manhattan for 3 cents. The pedestrian bridge crosses the surviving relic of the old ferry terminal which has been excavated and included in the park's design as a tidal wetland. The wetland at Transmitter Park looks like it could use a little maintenance. It does not look much different than it did almost a year ago when I visited the site after Hurricane Sandy. Until a few years ago most of the good views of Manhattan were from New Jersey, however dramatic skyline views are now accessible from the Greenpoint and Williamsburg waterfronts. 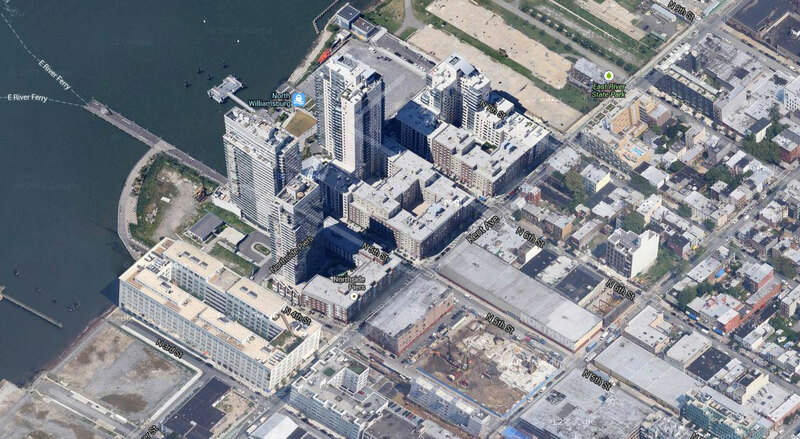 "Greenpoint to Lift Skyline With Pair Of Radio Towers" Newspaper (no citation indicated). 15 December, 1935. Wyatt, Edward. "A Quest to Save AM Before It's Lost in the Static" New York Times 9 September 2013. 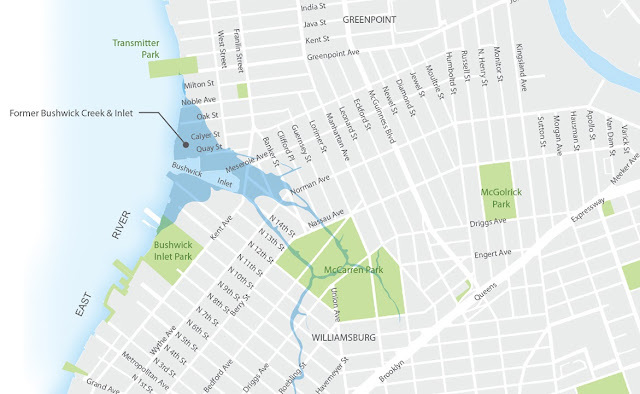 Bushwick inlet has a long history and is part of an ongoing waterfront development debate. Before becoming overrun with weeds and invasive plant species Bushwick inlet was at the mouth of what was Norman Kill, later known as Bushwick Creek. The creek once extended to a marsh in what is now McCarren Park, creating the neighborhood boundary between Greenpoint and Williamsburg that is still recognized today. 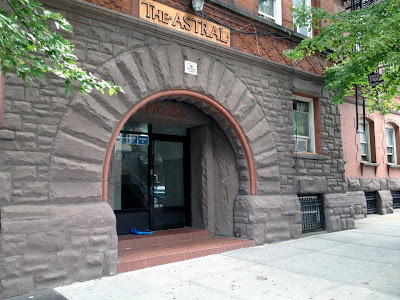 Eventually the mouth of Bushwick Creek became home to Charles Pratt's Astral Oil Works to the south and the Continental Iron Works to the north. 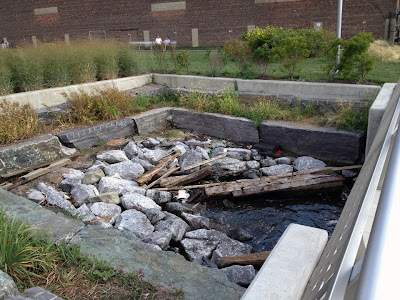 In the 1850s Bushwick creek began to be filled in for new housing and around the turn of the last century the creek was completely filled in to cover over what had become a foul smelling, polluted waterway. 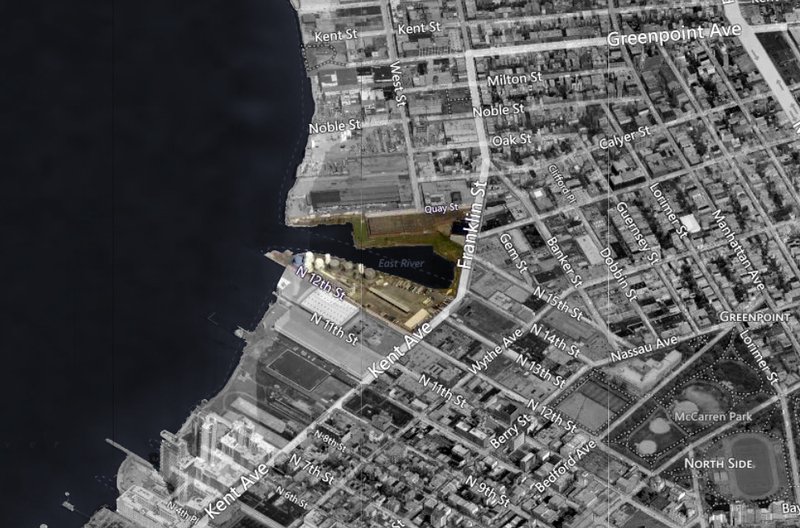 Although Bushwick Inlet sits unused, a relic of Greenpoint's industrial past, the city has plans to convert the site into a park as part of the redevelopment of the North Brooklyn Waterfront. The Continental Iron Works was the Greenpoint company that built the iron clad ship USS Monitor. The company was located at the end of Quay Street and launched the USS Monitor on the north side of Bushwick inlet in 1862. 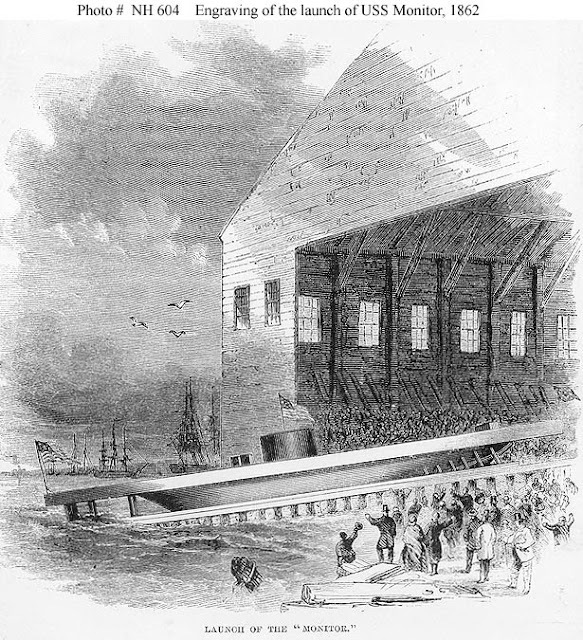 The Monitor was built for the North during the civil war and engaged the Confederate iron clad CSS Virginia in the first ever battle between iron clad ships. Part of the land adjacent to Bushwick Inlet has been donated to George J. and Janice Weinmann for a proposed museum site dedicated to the Monitor. The city has threatened to take the USS Monitor Museum property through imminent domain for inclusion in the in the new Bushwick Inlet Park in order to maintain continuous pedestrian access through the park. As someone who designs parks for a living I think that the inclusion of a museum dedicated to an important part of the site's history can enhance the interpretive environment of the park assuming the museum is designed to be integrated into the park's master plan. Moreover, I do not see any reason the city cannot use an easement to maintain continuous waterfront park access while allowing the museum to be built. I am not sure why the city has made it more difficult for the museum to be built but it seems to me like administration officials are in no position to complain about the museum when they have yet to adequately fund or build a park that was promised to North Brooklyn residents in exchange for allowing developers to construct luxury condo buildings that are at a scale inappropriate to the neighborhood. 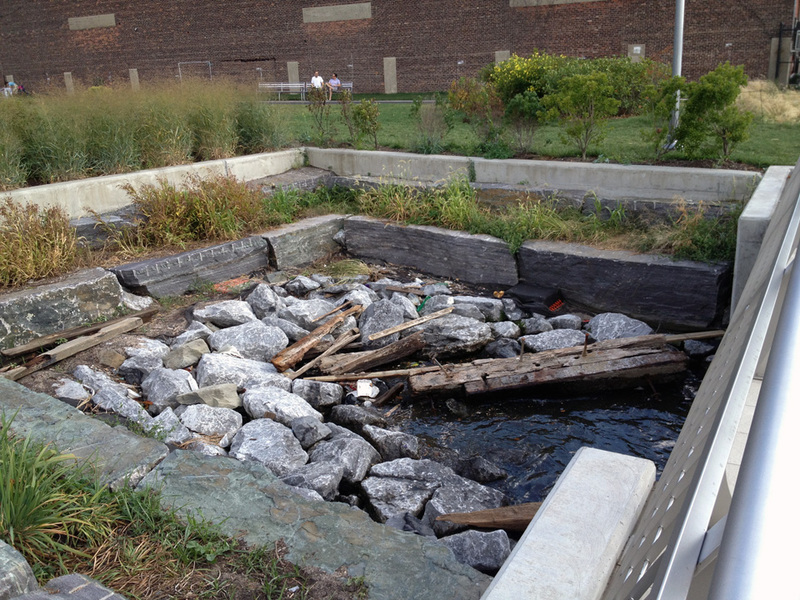 When the city first began filling in Bushwick Creek in the 1850s it was to build new housing; however, the residents at the time did not want the creek to be filled in and protested the development initiative. History has a funny way of repeating itself and just like before, the community is protesting the construction of new housing. Originally, the North Brooklyn Waterfront was rezoned to protect the community from undesirable industrial development projects including waste management facilities and a proposed power plant. 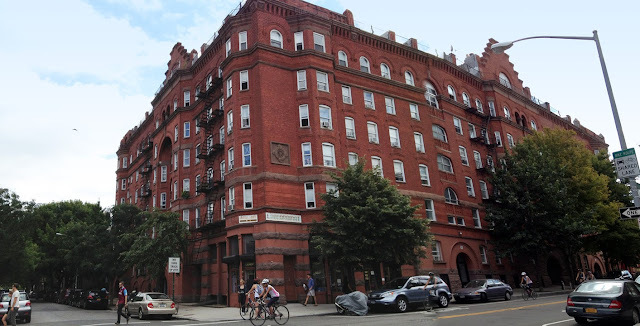 While rezoning opened the door for more appropriate development types in the neighborhood, a Faustian deal was made with developers. In exchange for opposition of the power plant project and rezoning of the waterfront from heavy industrial to mixed use, commercial and residential, developers were allowed to construct taller buildings (thirty to forty stories) against the will of local residents. Williamsburg residents are already paying the price for the new high-rise developments. 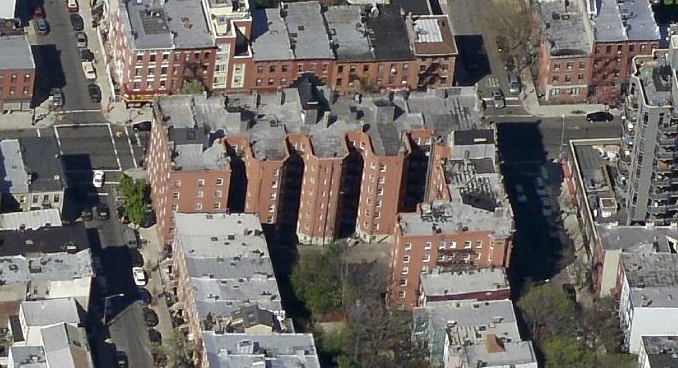 In addition to being out of scale with the neighborhood, these new gated communities in the sky have contributed to a significant increase in traffic and noise, increased parking demand and a greater burden on existing infrastructure.